We offer a bespoke design, consultancy and build service, creating outside spaces that are unique, functional and beautiful. From small courtyard gardens and roof terraces to large scale rural landscapes, we balance inspired design and creative horticultural expertise to enhance the visual relationship between your interior and exterior. Hard and soft landscaping is interwoven to provide a wealth of year round interest, reflecting the styling, feel and colour scheme of your property. Based in Chichester, we work collaboratively with each client overseeing each stage of the design and build to ensure initial concept through to project completion is smooth and seamless. Please take the time to look through the portfolio of completed projects and the services we offer. We look forward to assisting you with your horticultural requirements. My Country Garden Design Services wants to help you turn your dream garden into a reality, whether your garden is a small back yard or a large rambling garden. We offer garden design services across Berkshire, Hampshire and Surrey, from simple reviews to full redesigns as well as plant sourcing services. We are passionate believers in gardens being practical and useful and we love working on kitchen gardens, herb gardens, orchards and wildflower spaces. We always try to work with nature, choosing plants that are both easy to plant and maintain and also help sustain the natural environment and wildlife like bees and birds. Faith, director of My Country Garden Design Services, is also proudly the Chair of Thrive - a horticultural therapy charity. To learn more about Thrive, visit www.thrive.org.uk. 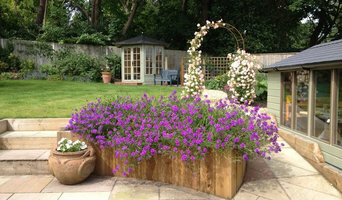 Amy Perkins Garden Design creates beautiful gardens in the UK, sympathetic to their location and setting. We employ a thoughtful, creative and professional approach to transform your garden, allowing it to be enjoyed for many years to come. Garden and Landscape Design in Bracknell, Berkshire. Designing contemporary gardens of all sizes throughout the South East of England. Specialists in designing sloping gardens. Years of experience in working with steep sites. Chic gardens with clean lines and elegant planting schemes. 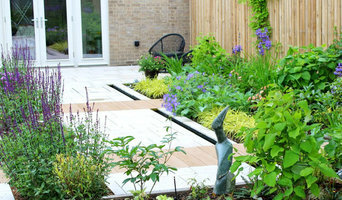 I work across a range of styles and enjoy working with clients to create a garden which fits them perfectly. With over 20 years experience as a professional garden designer and a Royal Horticultural Society Gold Medal, I have a wealth of knowledge and expertise. Living on the coast it is inevitable that many of my designs have a coastal feel, as many of my clients are looking for this. However I thrive on variety. Your garden is highly personal and deeply symbolic. A once ordinary space becomes your extraordinary place. Please note from July 1996 to July 2106 I have traded as Changing Scenes and have now changed my trade name to Garden Design Guru as it is considerably more descriptive of my main service. ‘Space is the Breath of Art’ – Frank Lloyd Wright Mark Payne Landscape Design offers a fully bespoke garden consultancy, from concept and design, through hard and soft landscaping to planting and maintenance. Our aim is to provide clients with a space that is tranquil, unique and functional. From small town or cottage gardens, to large countryside settings or commercial projects spanning Sussex, London, Surrey, Kent and Hampshire, we feel confident in offering our expertise, specialist knowledge and passion. We have been recognised by the Royal Horticultural Society at the Chelsea Flower Show where we have won three Gold Medals including ‘The Best Chic Garden in Show’ in 2003. With over 20 year’s construction experience, we are well placed to turn ambition, innovative design into an exciting, beautiful reality. Experienced and award winning design team based in the New Forest. Inspired by the surrounding landscape, we are constantly innovating and developing our service to ensure we create timeless landscapes that that connect with the adjacent architecture and surrounding natural landscape to enhance both period and contemporary properties. Hi. I am a Garden Designer and a Landscape Gardener. I have been working within the Berkshire area for around 13 years now, and pride myself on being able to listen to my customers and provide them with their perfect garden solution. The Low maintenance garden has now become NO maintenance with the addition of artificial lawns, and so we have capitalised on this over the last couple of years. Projects of all scale are undertaken by Amy at amy hannigan garden design, from updating tired planting schemes to a full-scale reconstruction of your garden. A well-designed garden can add value to your house and brings real pleasure to your life and well-being. Careful attention is always paid to your intention and desires; the garden is for you and not the designer. Also, of course, to your budget. 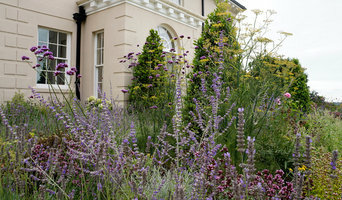 I trained in horticulture and later specialised in garden design. Working only with excellent and skilled trade and craftspeople we will transform your outdoor space in to a creative and useable garden. I have a degree in Art History and worked as a professional photographer; these visual disciplines support and inform my design process. I offer a comprehensive design and landscape service aimed at creating well-proportioned gardens which are sympathetic to the client, architecture and surrounding landscape. My design practice has grown organically through word of mouth and this is in part down to listening to clients’ needs, involving them throughout the process and attention to detail on every stage of the process. Because every client, house and setting is different, I don’t like to specify a style, however it is true to say that my family’s links with architecture subtly shape every project through an intrinsic sense of proportion, balance and structure and of course a passion for plants! Garden design and consultancy; chiefly domestic gardens, large or small. 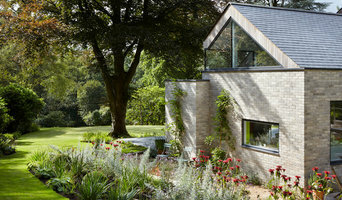 from full design packages to guidance on garden and plant maintenance, planting schemes, and design of individual areas. 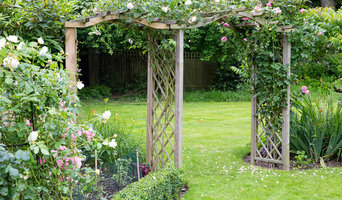 Creating gorgeous gardens in Hampshire, UK since 2005, I specialise in easy-care, affordable, English country-cottage-style gardens with a twist of the contemporary. Most of my clients are looking for a garden that does not require 'expert' care, but that will look fabulous all year round with minimal effort, filled with flowers, fragrance and colour. At Herseys LTD we pride ourselves on creating beautifully designed, inspired gardens. We love implementing exquisitie planting plans combined with state of the art hard landscaping elements. Our aim is to create beautiful and imaginative outdoor spaces and most importantly bring your dreams to life. We want to provide you with the garden you've always thought about, be it a space to entertain, hone your own gardening skills or just a tranquil space to switch off. Sarah Bicknell has been a Registered Member of the Society of Garden Designers since 2008. She created Sauterelle Garden and Landscape Design in 2005 after winning the Daily Telegraph Garden Designer of the Year Award in 2004. Following this were successes in Channel 5's The Great Garden Challenge where she reached the semi finals. Sauterelle G&L Design is now an award winning garden and landscape design company based in Surrey, designing gardens across Surrey, Hampshire and London. Designing gardens intuitively and create stunning unique outdoor living spaces is our passion!